I am a South Florida native, my Grandparents were Key West conchs for 48 years. The youngest of four girls, all who graduated from North Miami Senior High School, in North Miami Beach. Who better to work with than someone who lives the South Florida lifestyle and grew up right here in the Miami and Ft. Lauderdale area. 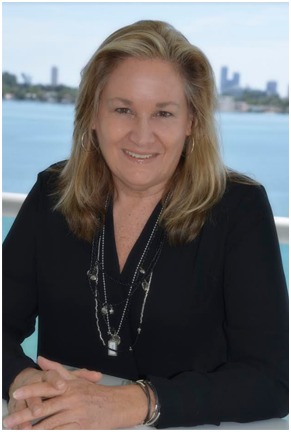 Along with years of Sales and Marketing experience, I bring to you all aspects of my knowledge in the South Florida marketplace. Currently I'm working with Nova Southeastern University as their Preferred Realtor for Off Campus Housing. I assist Students, Staff and Faculty with selling and buying of single family homes and condominiums as well as assistance with rentals. I have worked with a number of very satisfied students and NSU Executives who refer me to friends as well as continue to stay in contact with me. I have been the Preferred Campus Realtor for a number of years and no one knows the Davie area better than I do. As your Realtor, I will be sensitive to your needs and respect your confidentiality. You can count on my Integrity, Experience and Knowledge to guide you through your home buying or selling experience. Call me anytime and we can talk about your needs, and guide you every step of the way with your transaction. I have a strong sales record in Davie, Plantation, Cooper City and Surrounding Broward Communities. Awared the EWM Chairman's Club status as a Top Sales Associate, Member of the Davie Chamber of Commerce, Member of the Ft. Lauderdale Board of Realtors. I know you will have plenty of questions for me and I look forward to helping you.